Ahhh Robotech. 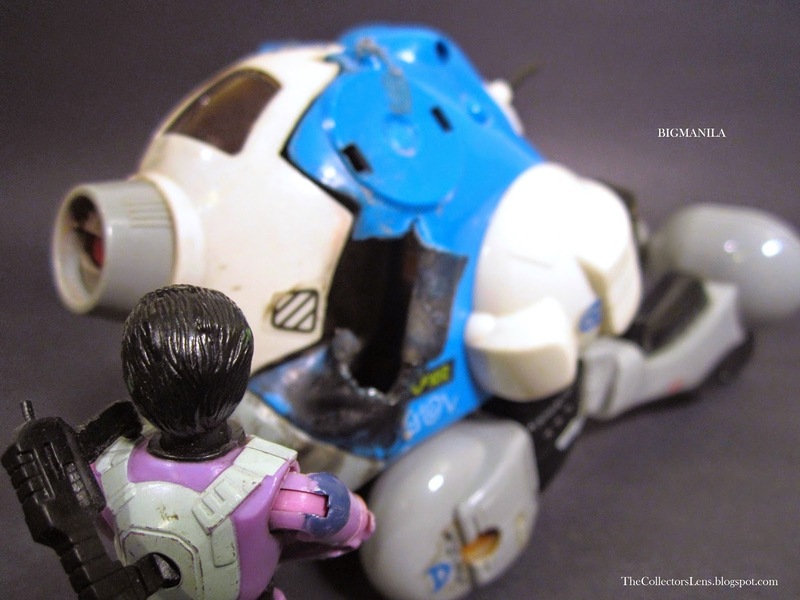 I guess if you been following my Blog Robotech is one of my all time favourite cartoons/anime when I was a kid. The Micronized Zentradi Warrior was one of my first Robotech action figures I bought when I was in Elementary school at a local used toy store. I bought the Playmates Bottle pod on a Craigslist add recently. I'm not sure if you noticed but The Zentradi Action Figure has some authentic battle damage due to some fire crackers when we had Action Figure wars with my brother. This version of the vehicle was made in 1994 by Playmates. 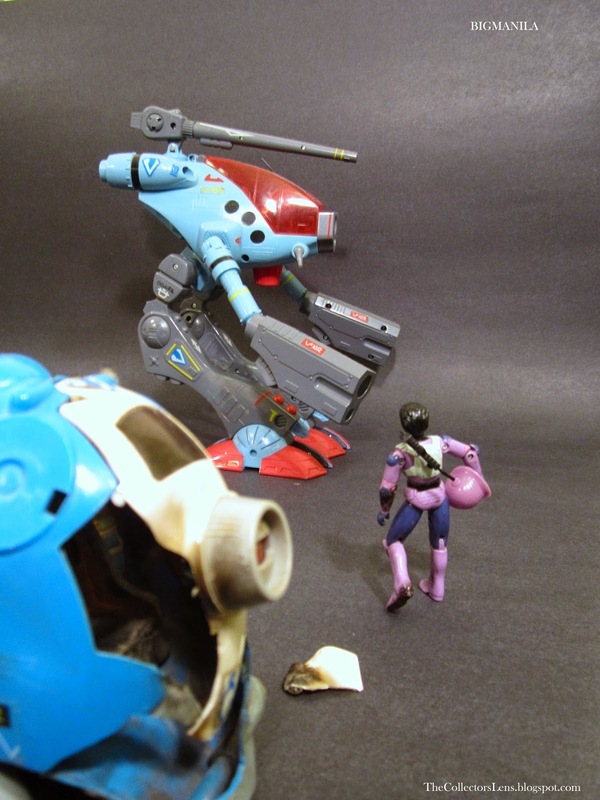 In order to infiltrate the SDF-1 Battle Fortress, this Zentraedi warrior has been micronized (shrunk from normal Zentraedi size-60 feet, to human size-6 feet). Once on board the SDF-1 and after prolonged exposure to the Micronians, the Robotech Masters fears are realised as the intense training and genetic engineering of the Zentraedi warriors becomes undermined. Many defect to the RDF and join the Micronians. The Tactical Battlepod is the standard Zentraedi infantry mecha that is most frequently piloted during the First Robotech War. Known as the Regult within the Zentraedi ranks, it can utilise its multiple thrusters to navigate challenging surface terrain or manoeuvre in space combat. This versatile battle-tested design has been built in staggering quantities and has spawned a line of variants for a wide range of combat roles. Among the strong points of the Battlepod are simplicity, firepower, speed and mobility. The mecha is designed for rapid and efficient manufacture in automated assembly lines and is typically deployed in large numbers for mass attacks. 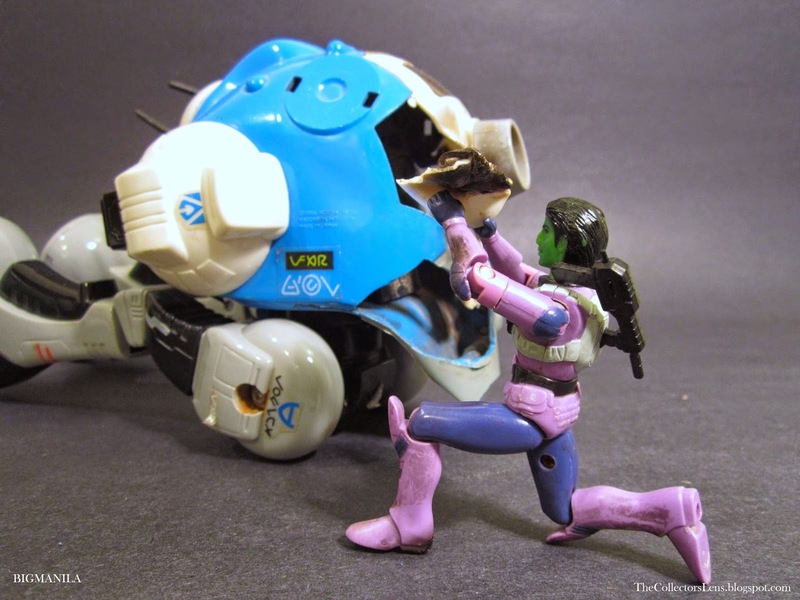 The mecha is easy to service in the field, a necessity considering the limited technical knowledge of the average Zentraedi soldier. The destructive firepower of the two main cannons is capable of dealing with big armoured targets such as Earth Destroids. An array of secondary armament trades firepower for coverage against lighter fast-moving targets. The mecha's giant articulated legs allow it to advance or jump quickly past most obstacles and it can even function underwater. The main disadvantage of the Battlepod is its vulnerability as armour protection has been sacrificed for mobility. The shape of its body does not lend itself to deflecting incoming fire and its power system has a tendency to explode when pierced by explosive rounds. These weak spots are consistent with the Zentraedi strategy of victory by overwhelming force with little regard to the survival of the individual. When my brother and I were young we used fire crackers for our Toy Wars we used alot of Action Figures. I made it look like a real battle. 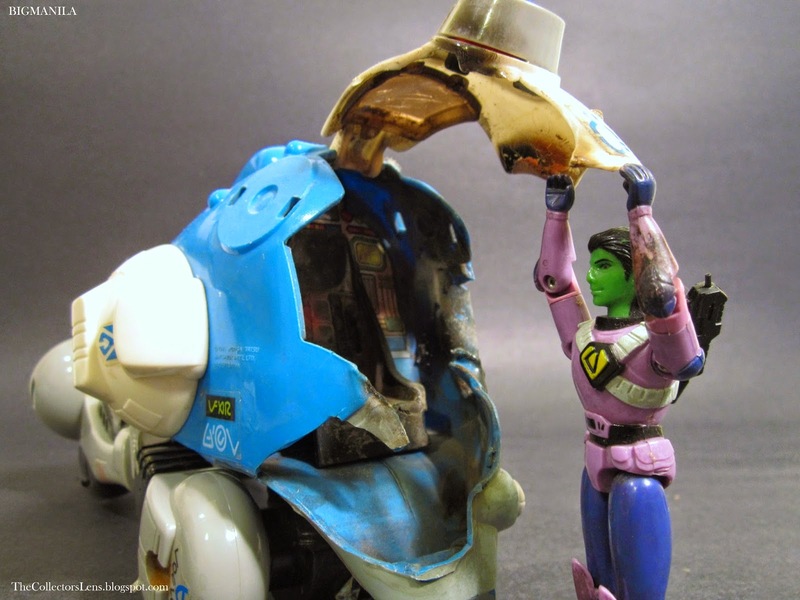 The bad thing is we lost alot of action figures and many vehicles. How did he survived nearly on scaved? Damage was caused by a jumping jack placed right in the cockpit. After a few years in storage and even damage it still looks pretty cool. I also bought the Matchbox Battle pod at a local used toy store when I was a kid. 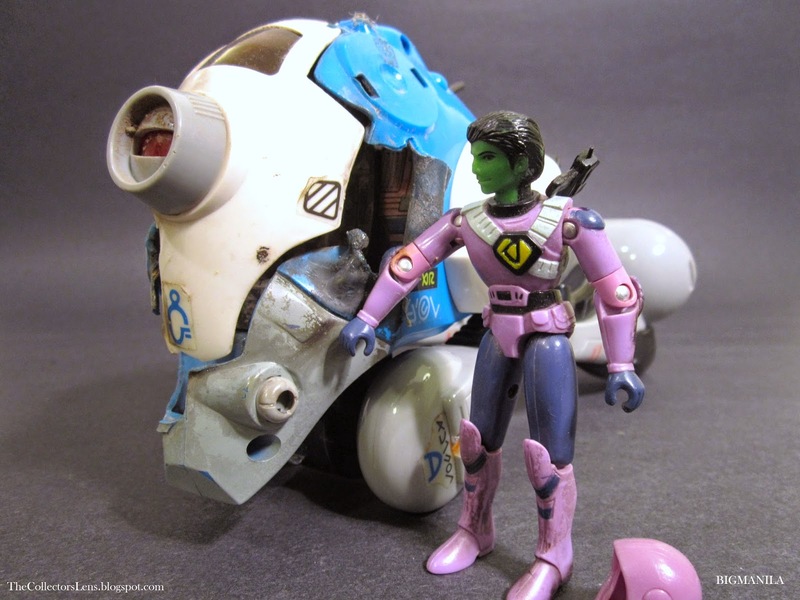 This is the first Zentradi Action figure I got when I was a Kid. I found him in storage with the rest of my G.I. Joes. His marks he carries are from my brother and I Action Figure wars that we had with using fire works and fire crackers. I had an original Battle Pod but It was missing its main cannons and the front cockpit damage was a little busted up. We put a Jumping Jack firecraker thinking it was just a fire cracker. So instead of blowing up a bit and making some smoke it started to light different colors inside and smoke up. 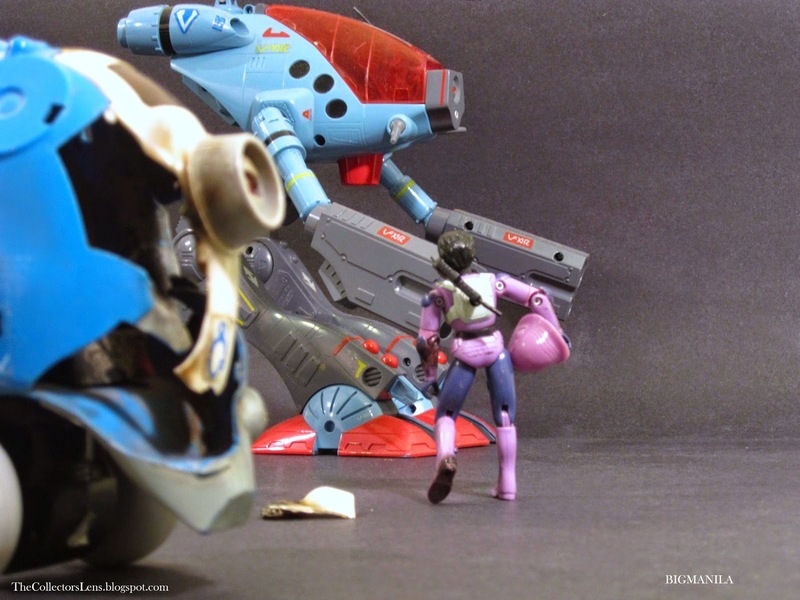 The cockpit door was melted and the Zentradi Warrior carries his battle scares. Some people might be angry that we damaged the pod but it did look awsome in the in the war. It was worth it XD. Wow, at first glance I thought they were the same battlepod. I was a little bewildered lol.